AVerMedia today announces the new product release of Tegra K1 Type-6 carrier board (EK611-AA), which has two Mini PCI Express slots, as one of the important steps for her embedded Tegra solutions. Together with AVerMedia Tegra K1 COM Express compact type-6 module, EK611-11, AVerMedia offers software design service of Linux BSP, driver, SDK for audio and video codec, post-processing, and streaming, as well as computer vision and CUDA program optimization. These supports can greatly help the embedded solution developers to integrate the supercomputing power and extraordinary energy efficiency of NVIDIA Tegra K1 with the applications they develop. 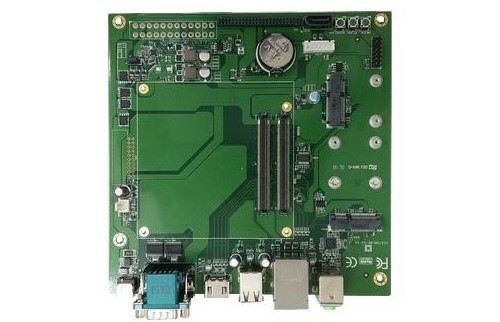 AVerMedia is now also developing a brand new Tegra X1 carrier board with Mini PCI Express slots and other unique functionality, which can work with NVIDIA Jetson Tegra X1 module for embedded video applications. Should you want to get early engagement with our work, you are welcome to send us an email @ Liwen.Liu@avermedia.com. Founded in 1990 and listed on the Taiwan Stock Exchange since 2000, AVerMedia Technologies is a leading innovator in industrial-grade multimedia processing, focused on providing cutting-edge solutions for manipulating, streaming, and capturing audio and video for various vertical applications. Based in New Taipei City, Taiwan, with branch offices around the world, AVerMedia offers localized and global business services in over 100 countries. AVerMedia also partners with ODMs to develop innovative technologies for integrated applications. With a focus on business development and sustainable practices, AVerMedia is committed to social responsibility on a global scale.